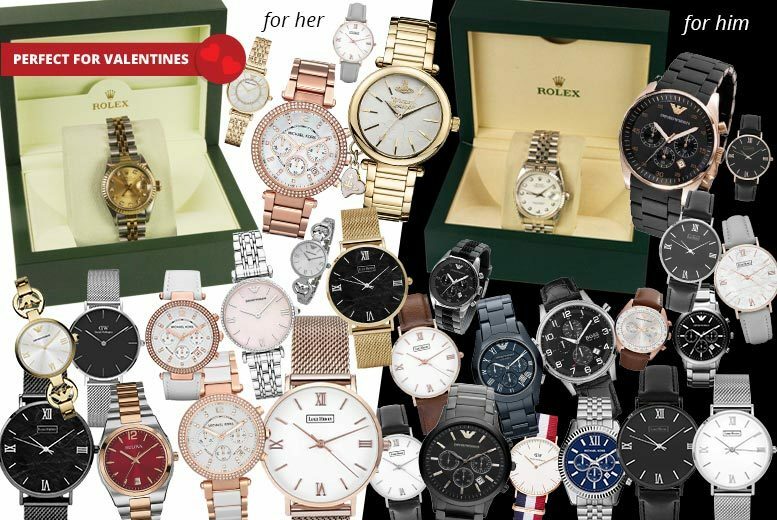 £29 (from Gray Kingdom) for a deluxe mystery watch deal for him or her – Rolex, V.Westwood, MK, L.Henry, Daniel Wellington, Bulova, Armani and more – find the perfect gift this Valentine’s Day! Treat yourself with a deluxe mystery watch deal. Products for him include Hugo Boss and Daniel Wellington. Designers for her feature Vivienne Westwood and Bulova. As well as Luke Henry, pre-owned Rolex, Michael Kors and Armani for him and her. Find the perfect gift for Velentine’s Day. See the full list of products here. 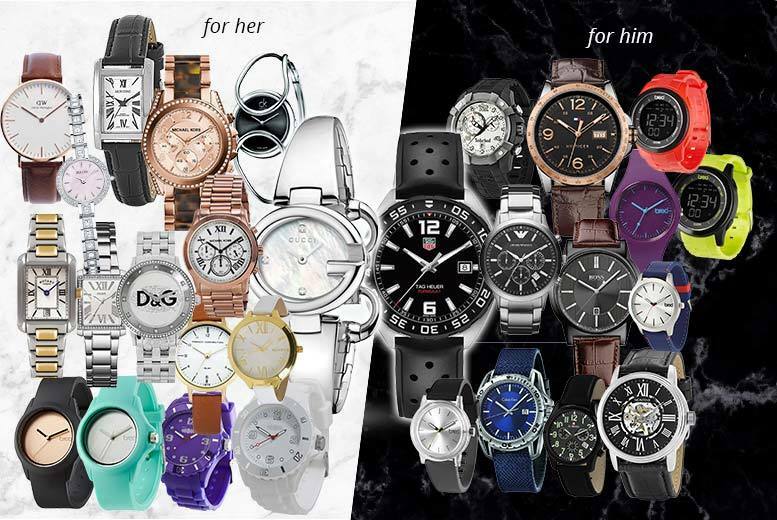 £10 (from Brand Arena) for a mystery watch deal for him or her – Tag Heuer , Gucci, Michael Kors, Dolce & Gabbana, Armani, Hugo Boss, Guess, Daniel Wellington, Calvin Klein, Breo and more! 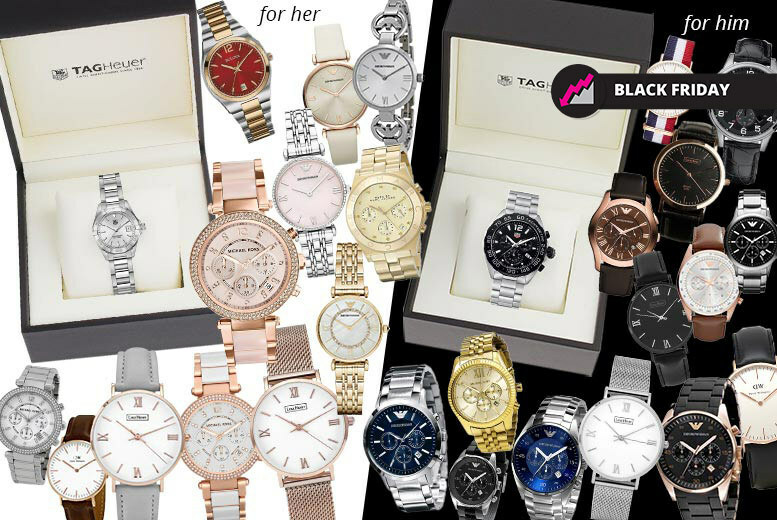 Get a timeless style accessory with this mystery watch deal for him or her. Products for both include Breo, Montine and Rotary. Designs for her include gorgeous watches from Calvin Klein, Gucci, Dolce & Gabbana and Michael Kors. And for him? There’s Pierre Cardin, Hugo Boss, Tag Heuer and Timberland. Get a treat for yourself of someone special. 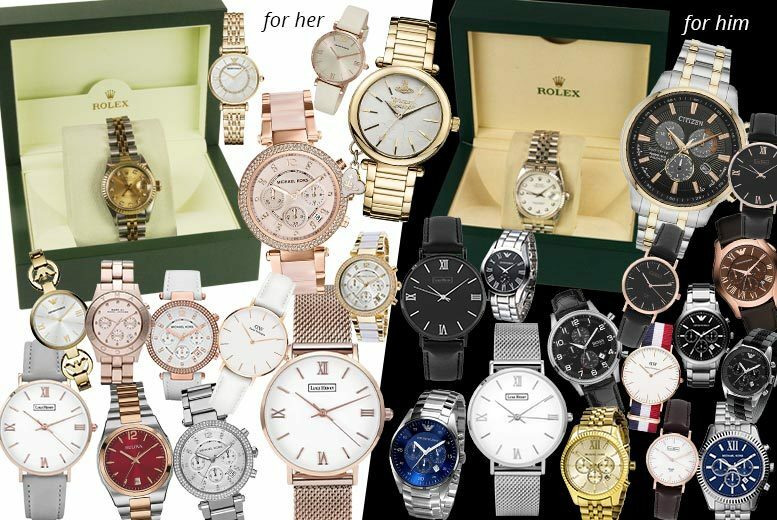 £29 (from Gray Kingdom) for a deluxe mystery watch deal for him or her – Rolex, Citizen, V.Westwood, MK, L.Henry, Daniel Wellington, Bulova, Armani and more! Products for him include Citizen, Hugo Boss and Daniel Wellington. Find the perfect gift for Christmas. 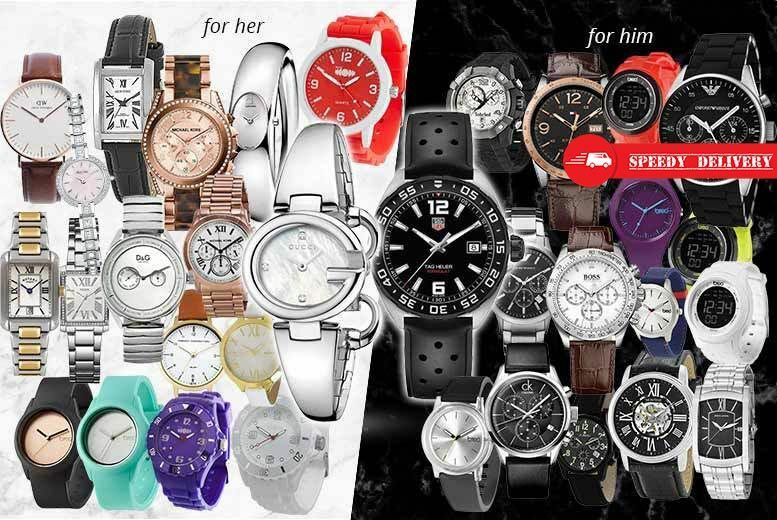 £10 (from Brand Arena) for a mystery watch deal for him or her – Hugo Boss, Gucci, Calvin Klein, Armani, Timberland, Bulora, Daniel Wellington, D&G, Armani, Breo, MK & More! And for him? There’s Tommy Hilfiger, Hugo Boss, Tag Heuer and Timberland. 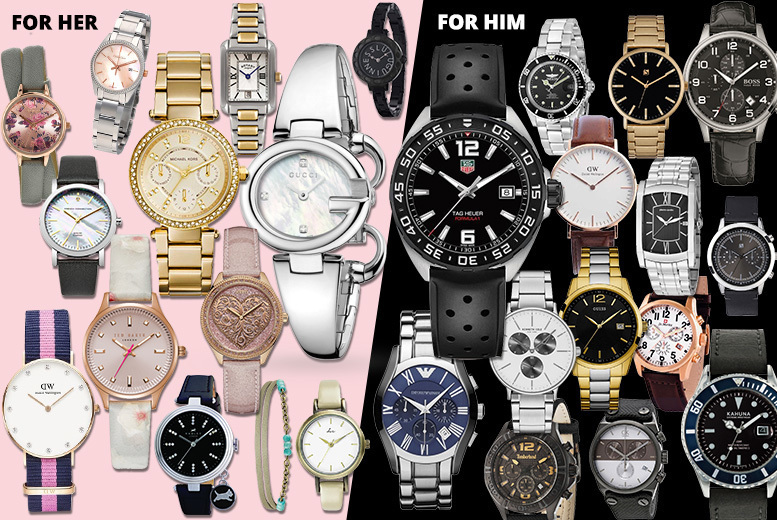 £10 (from Brand Arena) for a mystery watch deal for him or her – Tag Heuer, Gucci, MK, Kahuna, Daniel Wellington, Armani, Ted Baker, Calvin Klein & More! Products for her include Gucci, Michael; Kors, Radley of London and Lulu Guinness. As well as Kahuna, Hippy Chic and Daniel Wellington. And for him? There’s Tag Heuer, Timberland, Spirit and many more. 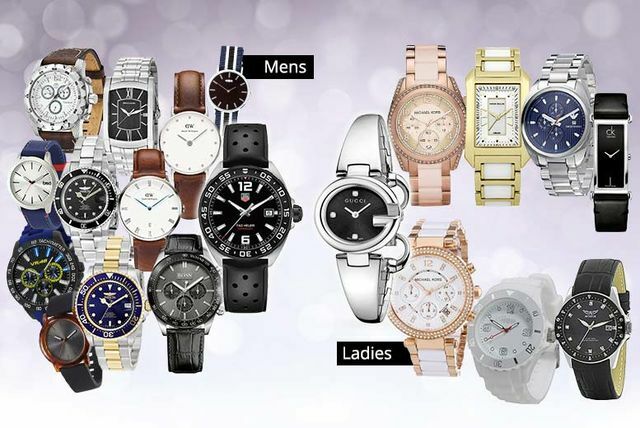 £10 (from Brand Arena) for a mystery watch deal for him or her – Tag Heuer, Gucci, Radley, MK, Kahuna, FCUK, Daniel Wellington, Armani, Ted Baker & More!